Most science fiction and news stories describe Mars terraforming as a long term but simple process. You warm up the planet first, with greenhouse gases, giant mirrors, impacting comets or some such. You land humans on the surface right away and they introduce lifeforms designed to live on Mars. Over a period of a thousand years or so, life spreads over the planet and transforms it, and Mars becomes a second Earth. However no-one has yet terraformed a planet. There are many theoretical reasons for supposing it wouldn't be as easy as that. What's more, this process if it goes wrong could lead to a Mars that is worse for humans than it is now. It could so alter the planet that it can never be terraformed again in such a simple way. 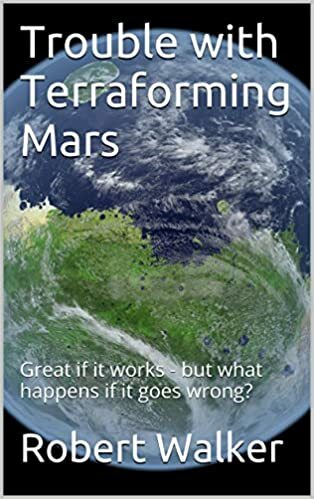 In this article I'll look carefully at some of the ways in which Mars is different from Earth and some of the issues with terraforming which suggest it might not be as easy as you think. We'll see that there are several ways it could fail if it goes wrong, with no chance to turn back the clock and try again. Perhaps Mars could look like this after terraforming - but many things could go wrong along the way, and it could revert back to a cold and inhospitable planet. After that it might be impossible to terraform it again, if most of the existing atmosphere and water was lost to space or turned to rock. There are many optimistic news stories about Mars terraforming. Other organizations such as Mars One want to land colonists on Mars, with no intention of terraforming it right away. But might they accidentally start off a process that will transform the planet as a result? If so does that matter? What happens if you make a mistake with a planet? Our only attempt at making a closed Earth-like ecosystem so far on Earth, in Biosphere 2, failed. There, it was because of an interaction of a chemical reaction with the concrete in the building, which indirectly removed oxygen from the habitat. Nobody predicted this and it was only detected after the experiment was over. The idea itself doesn't seem to be fundamentally flawed, it was just a mistake of detail. 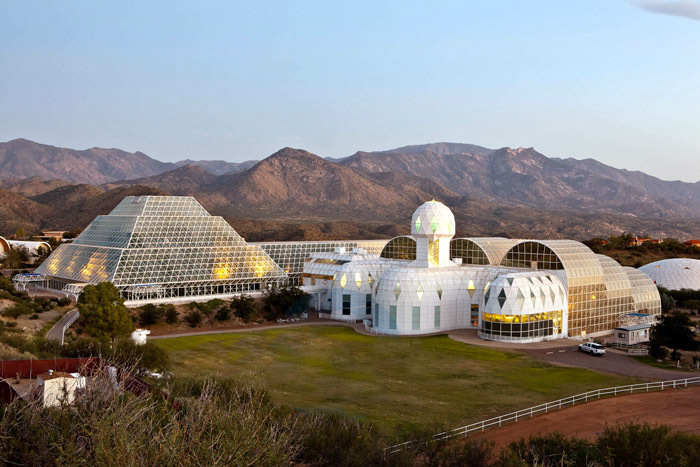 Biosphere 2. This attempt failed though much was learnt in the process, and many scientific papers were published as a result of their work. They were not able to produce enough oxygen and were not able to produce enough food. However this was mainly because of an issue with chemical reactions with the concrete, and didn't show that the basic idea itself was flawed. In the future perhaps we will try a Biosphere 3 or 4, and eventually get it right. When we build self-enclosed settlements in space such as the Stanford Torus, they will surely go wrong too from time to time in the early stages. But again, you can purge poisonous gases from the atmosphere, and replenish its oxygen. In the worst case, you can evacuate the colonists from the space settlement, vent all the atmosphere, sterilize the soil, and start again. It is a similar situation with Mars, there are many interactions that could go wrong, and we are sure to make a few mistakes to start with. The difference is, if you make a mistake when you terraform a planet, it is likely that you can't "turn back the clock" and undo your mistakes. With Mars, we can't try again with a Mars 2, Mars 3, Mars 4 etc. until we get it right. If we simply land humans on Mars, with no grand intentions to terraform it, as with the private space mission plans such as Mars One, this might well still introduce life to the planet. This would be accidental transformation, with no intent to transform it, indeed most likely, with measures taken to try to prevent it. Artist's impression of Mars One habitat landing on the desert landscape of Mars. As with all the current parties with plans to colonize Mars, they intend to comply with all planetary protection regulations. They also have no plans to deliberately attempt to terraform Mars at present. But they could transform the planet accidentally, by their presence on the planet. This could happen through the huge numbers of micro-organisms that always accompany humans, and leaks of atmosphere from the spaceship and spacesuits. There are potential habitats on the surface of Mars which could be infected in this way such as the warm seasonal flows, and deliquescing salts. There may also be subsurface aquifers warmed by geological heating and accessible to the surface through caves. Locations of Warm Seasonal Flows shown with black stars, some of them in the equatorial regions of Mars. These are believed to be signs of water flowing, due to the temperature range at which they form and location (not to be confused with the dry gullies, which are a CO2 phenomenon). This is one of the most promising habitats for life on Mars, though there are other possibilities as well. See Water seems to flow freely on Mars (Nature article). Experiments by DLR have also suggested that some arctic lichens and cyanobacteria could survive on the surface as is, using the humidity of the night time atmosphere, and protected from UV by specialized chemicals in the plants. For more about all these new ideas for possible habitats on the Martian surface see Might there be Microbes on the Surface of Mars? If these habitats exist, life from human settlements would surely spread to them eventually. The spores would get imbedded in cracks in grains of iron rich sand, so protected from UV radiation, and get blown throughout Mars in the dust storms. This is Opportunity, and you can see that over a period of about 30 days, from sol 1205 to sol 1235, it got darker and darker and darker until 99% of the sun was cut out by the dust-storm. 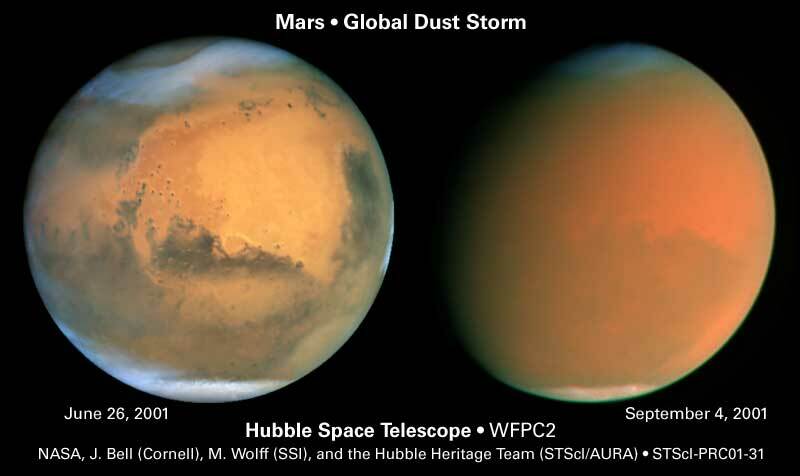 Dormant microbes imbedded in a grain of dust in this dust storm would be protected from UV light by the iron oxides in the dust, and could spread to anywhere on the surface of Mars in the wind. Carl Sagan once calculated that if you introduced a single microbe to a planet, and it reproduced only once a month, then if it was as hospitable as Earth, within ten years you would have the same population of microbes on the surface as you get in a typical Earth soil. Of course Mars is too inhospitable to develop a soil as rich as Earth over that timescale, but it suggests that the process is only limited by availability of the habitats. A single microbe introduced to a subsurface aquifer, or surface habitat, could spread throughout that habitat rapidly, quite possibly within a decade, and soon make major changes to the planet. This might for instance lead to large scale release of methane, a greenhouse gas. Following the ideas of Carl Sagan's rough calculation, depending on the availability of the habitat and the rate of reproduction, this could happen as soon as a decade or less after the microbe first got accidentally introduced to the planet. Whether biological transformation of a Mars is a fast process like this, or a long slow process, it makes no difference in the long term. Once started, it would be impossible to stop. You can't remove life from a planet, as far as we know, except by heroic measures such as impact by a large body to make the entire surface molten. This is an artist's impression of one of the major impacts between Moon sized "planetesimals" in the early solar system - far larger than the normal giant meteorite impact in the present day solar system. These could have made an entire planet surface molten. This might be enough to sterilize an entire planet once life gets started there (it is not certain that this would work, since the life could recolonize it by transfer on the numerous meteorites ejected into space and recaptured after the surface cools down again). Short of attempting something drastic like that, any contamination of Mars by microbes, once it begins to reproduce over wide areas, and colonize deep subsurface aquifers, can probably not be reversed. Short of something like this, we have no chance of a Mars 2, Mars 3, Mars 4 etc. if our first accidental or deliberate transformation of the planet goes wrong. With present technology at least, there seems to be no way to introduce humans to Mars without at least a greatly increased risk of introducing Earth life to the planet. Our spacesuits leak air continuously, airlocks also vent air when used, and in the event of a hard landing, the contents of the lander would contaminate Mars most likely irreversibly. And humans are accompanied by many trillions of micro-organisms which we can't remove or we would die. Spacesuits like this designed for mobility leak air constantly through the joints. So also do airlocks. Even this tiny suit port leaks a cubic foot of air into the Mars atmosphere every time it is used. This air would be contaminated with microbes. The skin of a typical human is estimated, to be host to a trillion micro-organisms in about a thousand different species many of which are not well understood, and some with surprising adaptations. 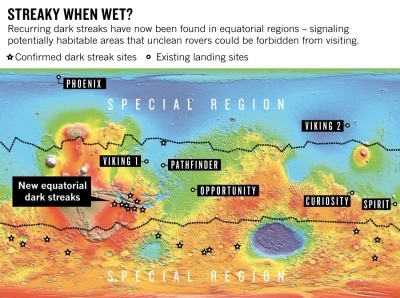 This continual leakage from a human habitat greatly increases the risk of contaminating Mars compared with an unmanned rover. A human habitat can't be kept sterilized in the way an unmanned rover can be. Inside the body we have a hundred trillion micro-organisms, ten times the number of cells, in ten thousand different species. There are numerous micro-organisms also in our food, the air we breath, and the water we drink. In case of a hard landing, there is no way that this life can be guaranteed to remain contained in the spaceship with present day technology. This microbial contamination of Mars may be an issue with paraterraforming Mars as well. Paraterraforming means, to cover Mars or part of it, and develop a habitable environment within that covering. For instance, a simple way to do it is to cover the planet, or parts of it, with greenhouses. The risk of contamination depends on how this is done, as there are two ways of doing hydroponics, with or without microbes. If you supply the nutrients chemically, and introduce higher organisms only, then it might not be an issue. But if you introduce micro-organisms - then though you may only intend to paraterraform, yet, it would be impossible to do that without introducing life to the planet as well. This seems likely to lead to accidental transformation of the planet itself e.g. its subsurface aquifers, if they exist, or surface habitats. In this article I want to highlight some of the things that could go wrong. I'm not saying that we should never terraform Mars. But there is no great hurry to get started on it. On the most optimistic of projections it would take a thousand years, and most think it would take longer than that, perhaps ten thousand or more likely a hundred thousand years. For at least the first few centuries, Mars would remain far more inhospitable than Earth is ever likely to be. It would be no "second home"
Even immediately after an impact by a (normal sized) giant meteorite on Earth, our home planet would remain far more hospitable than Mars after a century or more of terraforming. The most inhospitable desert on Earth, in Antarctica and the high Atacama desert, would remain more hospitable than Mars. This McMurdo dry valley is far colder than it seems, one of the coldest most inhospitable places on Earth. Yet compared with other places in the solar system, it is extremely habitable. Mars is not likely to become as hospitable as this even after decades, even centuries of terraforming. You can still breath, you don't need to create your own oxygen, and you are not dependent on a spacesuit to go outside. McMurdo valleys from space - they are in the thin area not covered by ice near the top of this photo. These valleys are as cold as the rest of the continent but are kept dry by mountains that hold back the ice, and katabatic winds of up to two hundred miles an hour, cold air from the ice sheets, that sweep down the valleys. Mars is also dry, and extremely cold, with equatorial regions similar in average temperatures to the interior of Antarctica but with typical night time temperatures far colder. It looks warmer in the photographs because it is so dry, and the air is so dry because the atmosphere is so thin, so thin that your saliva would boil at blood temperature and you wouldn't last even seconds without a spacesuit. Mars is no second home at present and will surely remain deadly to humans after at least decades, and probably centuries of any attempts at terraforming. It may be possible to paraterraform it at an earlier stage, but it remains far easier to build similar greenhouses on deserts on the Earth than Mars. For more about all this: Mars, Planet Of Surprises, Great To Explore Not So Great To Colonize - 1. Is It As Good A Place To Live As A Desert? Humanity can easily afford a few more decades to study Mars first, and decide whether this is what we want to do, and if so, how best to do it. In my other articles on this science20 blog, I've talked about the great value of pristine Mars for humanity, and about how it is important to explore Mars thoroughly before we decide what to do next. Also about the possibility of "Marsforming" Mars if it turns out to have interesting indigenous life (Chris McKay's idea). I've also talked about the great benefits of exploring from orbit first, via telepresence, with humans in orbit and machines on the surface working together, each doing what it does best. And I've written about the potential for the materials in the asteroid belt as habitats and potential second homes for humanity, with far greater potential than Mars, enough material for cosmic radiation shielding of a thousand times the surface area of the Earth. This article is about more direct issues with terraforming Mars (or indeed, paraterraforming Mars - turning it into a world of greenhouses). The simple approach takes far longer than expected. Chris McKay estimates 100,000 years for this simple approach to reach a breathable atmosphere, not 1000 years. Zubrin estimates, it could be accomplished as quickly as 900 years in an optimistic scenario, more complex approach, with mega-engineering such as space mirrors to reflect more sunlight to Mars. Which of these estimates is closest to what would actually happen in practice? Would it work at all? It loses its CO2 into space. We don't yet know how early Mars lost its atmosphere, this is what Maven may clarify. However, high energy particles from the sun can strip a planet of its atmosphere, and on Earth these are kept away by its magnetic field, so it might be because of the lack of a magnetic field on present day Mars. It loses water continually from its upper atmosphere due to dissociation into hydrogen and oxygen. The biological cycles are unstable, or go in a direction not suitable for humans e.g. creates a stable atmosphere, but one with high levels of gases poisonous to humans such as H2S or methane, or the planet goes into a deep freeze again with biological cycles reinforcing the deep freeze (e.g. causing clouds that reflect the sunlight away). Some purely biological issue - a micro-organism or higher organism evolves on our transformed Mars which is either hazardous to humans, a disease or an allergen, or damaging to our crops or animals, etc. Or Mars already has such micro-organisms on it. Most of these would be potential problems for Mars even if it was an identical twin to Earth geologically. We don't know enough about terraforming to be confident about the outcome of our actions yet for an entire planet. But there are many differences between Mars and Earth which suggest it won't work to try to turn it into an Earth clone. Instead we will need a unique solution tailored to Mars. There is one remarkable similarity between Mars and Earth. Its day is almost exactly the same as the length of the Earth day. But there are many major differences. More elliptical orbit, so much greater difference of climate of the two hemispheres - cold southern winters, warm northern summers. This also currently causes major storms every two years as the dry ice sublimes. The storms are not a hazard at present but may be when the atmosphere is thicker, at least for as long as there are significant amounts of carbon dioxide locked up as dry ice. I don't know if this would cause storms at a later stage in terraforming - the changes are greater than for Earth but the changes are also more gradual - and I don't know of any attempts at detailed modeling of climate on a terraformed Mars. No continental drift, so long term it may lose all its atmosphere - on Earth the atmosphere is maintained long term by volcanic eruptions - which is also probably the main thing that got Earth out of its snowball Earth phases. Is not known if it has enough CO2 for terraforming. Much of the original atmosphere may have escaped or locked into carbonates. It has much less nitrogen than Earth, which is important in our atmosphere as a buffer (77% of the atmosphere), as well as needed by many plants. A CO2 atmosphere with no buffer is poisonous for humans even when it has enough oxygen to breath. An almost pure oxygen atmosphere (as in spacesuits) is breathable, but hard to achieve biologically, is also flammable, and you get oxygen toxicity on long timescales for humans. Some compromise might work, using smaller amounts of nitrogen than for Earth, but this is not certain. These materials might need to be imported from elsewhere in the solar system, involving megaengineering. The Mars surface is rich in percholorates, and poor in chlorides (such as common table salt). Perchlorates are poisonous to humans, and are present in the dust at levels far above the toxicity levels for humans. This could be significant in early stages particularly. No magnetic field to speak of, no protection from solar radiation. No stabilizing Moon - long term the tilt changes are far greater than for the Earth. Mars sometimes tilts so far that it has an equatorial ice belt instead of polar ice caps. Higher risks of giant meteorite impact because it is closer to the asteroid belt. From the cratering record, scientists estimate a five times greater risk of one megaton impacts, likely to happen on the surface every three years, instead of every fifteen on Earth, of course with no atmosphere to cushion the impact. The problem is, that it is not the same planet after a deliberate or accidental terraforming attempt. First, it might lose its CO2 in the first attempt. There is at least a fair amount of CO2 on Mars at present, though the amounts are not fully known. If you terraform Mars, and especially if it has seas with shellfish and other micro-organisms that transform CO2 into limestone or other forms of calcite - then these could remove all the CO2 from the atmosphere again. This time though, instead of just CO2 gas, you get forms of rock, far harder to release into the atmosphere again. Simply warming Mars up a second time would no longer work. Mars might also lose its CO2 and water to space, through impact of high energy particles from the sun to strip gases from its atmosphere. The water also could disassociate into hydrogen and oxygen, and the hydrogen get lost to space leaving it with no water. Once the CO2 or water vapour is lost to space, then again, warming Mars up again will be of no avail. A failed attempt now could leave Mars with lifeforms that would resist future attempts at terraforming. The simplest way is if we introduce aerobes that remove oxygen, or methanogens that keep the atmosphere methane rich, or other microbes that interfere when we attempt to set up the biological cycles needed to maintain a planet. A minor issue, just mentioning for completeness, something that has been mentioned in the scholarly papers as an issue for early stages of an accidental or deliberate introduction of life to Mars, is that micro-organisms could contaminate subsurface aquifers on Mars and make them undrinkable (without purification) - if we are lucky enough that Mars does have drinkable water. E.g. contaminate with byproducts of microbial growth. It would also leave Mars contaminated with many new species of life. This is especially so after an accidental planetary transformation starting from a human habitat, most of the life on the planet starts as symbionts or pathogens of humans and our crops and other lifeforms we grow in our habitats. These will evolve rapidly on the surface of Mars because of the different conditions there. There are many different micro-habitats on Mars, depending on the amount of light, depth of soil, mixtures of salts, variation of temperatures, and so on, ideal conditions for adaptive radiation. Also high levels of UV and cosmic radiation requiring adaptations to survive. So, we seed an entire planet with descendents of human symbionts and pathogens, and Mars is a planet that would lead them to evolve in numerous different directions, and develop resistance to UV, low pressure near vacuum, and ionizing radiation. Microbes tend to retain previous adaptations. So, after their adaptations for Mars, many would still probably be capable of infecting humans and human habitats. This seems to have some potential, at least, to lead to development of microbes on Mars that are hazardous to us in one way or another including new diseases, allergens and so on, which by then also have added resistance to UV, vacuum, and cosmic radiation. I just suggest this as something worth investigating before you do it. In one way or another surely many new species would evolve on Mars during a terraforming attempt. These may not all be desirable for humans. This also would be a permanent change of the planet. If Mars got infected with newly evolved species of micro-organisms hazardous to humans, or in other ways undesirable, it might be hard or impossible to reverse that. Paraterraforming is by far the quickest way to make parts of Mars habitable, if we decide it is a wise thing to do. And - it doesn't have to be humans first paraterraforming. If your aim is to have an oxygen atmosphere there as quickly as possible, I think the best way to do it might well be to use automated seed factories, which we can probably make within a few decades as 3D printing technology develops, and get them to travel over the surface of Mars and using the sand, make the entire surface into green houses (leaving out of course important regions you want to preserve for now, surely there would be "science parks" on Mars). You could fill all those greenhouses with shallow ponds a meter or so deep. There is easily enough water on Mars to do that, we know of enough water already to cover the surface to the depth of at least a few meters (it has enough water just in the South pole ice to cover the entire planet to a depth of more than 10 meters if the water thawed out - and more water elsewhere). So then in all those greenhouses, for the first few centuries, all you have growing are cyanobacteria. Make sure there are no aerobes. Also nothing to eat them. Probably do some gene manipulation to make them as efficient as possible at creating oxygen. One of the micro-organisms you might introduce early on to help create an oxygen rich atmosphere in a carefully planned terraforming or paraterraforming of Mars. It is UV resistant and has extraordinary resistance to ionizing radiation, is a prime producer (so needs nothing else in order to survive, just raw materials) and might be able to survive on parts of Mars already just as it is. It can produce oxygen so enrich the atmosphere with oxygen. This would be most effective on a planet with no aerobes or other micro-organisms to consume the oxygen, compete with the cyanobacteria, or eat them. I think that would be the quickest way to get an oxygen atmosphere on Mars through biological means. It could be a garden planet - and you could grow larger plants as well, without introducing unwanted micro-organisms. The difference between plants and animals here is that you can introduce a species of plant to Mars as a single seed - with no associated microbes. This is easily sterilized, and techniques have been developed to grow higher plants completely without any use of micro-organisms, by supplying the nutrients they need in chemical form. In this way you could grow trees, and higher plants like fruit, flowers, vegetables, via hydroponics and aeroponics. Then export those to the colonists who would remain in orbit around Mars for now. For that matter, you can start on this approach of growing higher plants on Mars before you even introduce the cyanobacteria. This could be done with no risk of accidentally terraforming Mars, right away, if done with great care. It would not be without its risks. Due to the high rates of meteorite impact on Mars, once much of the surface is covered in greenhouses, you have to factor in the effect of a one megaton explosion on the surface every three years destroying some of your greenhouses - at least for as long as the atmosphere of the planet itself remains thin and unable to cushion the impacts. You can also expect numerous smaller impacts to destroy parts of the habitats every year. With the thin Mars atmosphere, only the smallest meteorites will burn up in the atmosphere. The latest estimate (2013) is that every year, each square kilometer of the Mars surface has a 1.65 in a million chance of a crater forming of diameter 3.9 meters or more. New impact craters are observed regularly in the satellite photos of Mars. 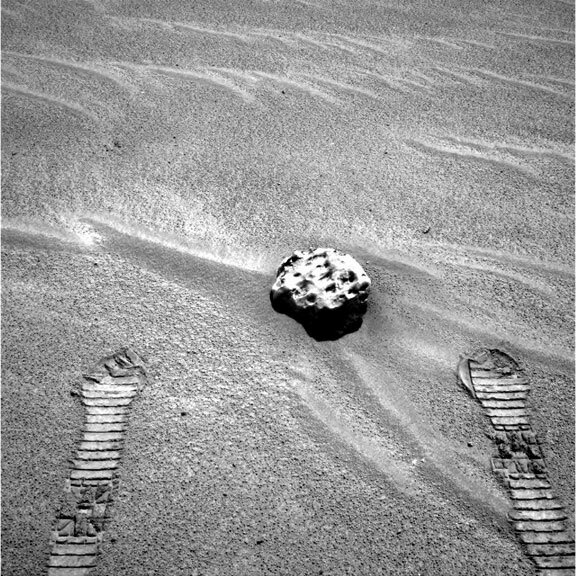 This is the first meteorite Opportunity found on Mars (it has since found several more). This one is too small to cause much damage to paraterraformed Mars, but because Mars is so close to the asteroid belt, calculations show that Mars gets hit by a meteorite large enough for a one megaton impact every three years - and it gets hit by numerous smaller impacts. These do not burn up in the thin Martian atmosphere, as they do on Earth. The new dark spot in the right-hand image is the result of an impact on Mars between the two dates. These are observed frequently. Because of the thin atmosphere, even small meteorites hit the surface frequently, and would damage habitats on a paraterraformed Mars. At a certain point, though, you might decide, enough is enough, once there is enough oxygen in the greenhouses to support people. But by then with the technology to create closed ecosystems developed, and mining of asteroids, probably the solar system is filled with trillions of colonists in Stanford torus type habitats made from the asteroid belt. So then, there is no urgency at all to do that. Even the first step of paraterraforming is an irreversible long term decision for the planet - once you introduce even cyanobacteria to Mars (unless it has them already and you just use the indigenous versions, which is of course possible we don't know yet) - then there is no way that we know of to reverse that. So we need to be totally sure it is what we want to do, need to do it also based on a thorough understanding of what is there already, and understand what it is going to do to the planet long term. Because paraterraforming of course won't just transform the planet inside the habitats which will not be totally micro-organism impervious, they will leave the habitats and colonize the surface too. Though we may intend to just introduce a single species, it would be sure to adapt and spread throughout the planet. We would need to be reasonably confident not just about the effect of it on Mars, but also about what it is likely to develop into as a result of adaptive radiation over decades or centuries on a planetary scale. And - I think at least possible that once we have a thorough understanding of what is there on Mars, especially if we find interesting early life - or indeed - suppose we found proto life, evolution not yet started - then it would be amazing to try to return Mars to its original state billions of years ago and so be able to study close up in our own solar system what the Earth was like 4 billion years ago. That might be thought such an amazing opportunity that it's by far the most valuable way of treating Mars. Right now it might seem strange to do that rather than send humans there. But when we have loads of space habitats, with it easy to make new ones, and potential for a thousand times the surface area of Mars as space habitats - there is no reason at all to use Mars for colonization at that point. As for first steps in paraterraforming to try out the technology - you can also paraterraform the Moon, I think probably a better place to start. The Moon is so much easier to get to from Earth and easier to supply and return in an emergency. On Mars, if some equipment goes wrong such as your machines for oxygen generation or even just your heaters fail, then you'd die quickly with no chance at all for supply from Earth (cold enough at night for the CO2 to start to freeze out of your habitat). On the Moon though, yes it doesn't have so much water, but it does have some considerable amounts of either water or hydrogen rich organics or both at the poles, and also elsewhere, there is enough water to be useful byproducts of mining. It could also be extracted using microwaves. It is hardly explored at all on the surface, so we don't know what is there yet (e.g. does it have ice deposits in the lunar caves as well?? - we know the Moon does have lava tube caves). Then, once we have NEO (Near Earth Object) mining, it will be easy to supply materials to the Moon. It is also of course far easier to supply from Earth. The soil on the Moon is also shown to be good for plants. So if you want to make a start on terraforming, I think first explore the Moon which we can do rapidly from Earth, I think once we have a few modern rovers on the Moon then it will be astonishing how quickly we find out more about it, and there may well be very enticing places on the Moon for colonization once we understand it better. The Moon does have its long nights, but that may not be such a problem for long term colonization as it seems, as you can use artificial lighting for day and night cycles inside the greenhouses, as for the McMurdo greenhouse in Antarctica. You can also use nuclear power to start with - this is much less of a problem on the Moon than on Earth because there is no ecosystem to be damaged by radioactive waste, and no water to carry the waste around through the surface, so it is easy to contain and clean up. Current plans for colonizing the Moon depend on nuclear power. So, early colonists might use nuclear power during the lunar night. Later on however, solar power with transmission cables from the sunny day side to the night side of the Moon would generate plenty of power. The main disadvantage of Mars is the resupply issue. It would take two years to resupply astronauts in Mars orbit from Earth, and we don't yet have any experience of running a space settlement without regular supplies from Earth. The ISS depends on frequent resupply from Earth (even supply of clean clothes in the case of the ISS as it has no facilities for astronauts to wash their clothes), and has needed emergency support such as emergency oxygen from Earth occasionally. So, until we learn to truly make self sustained and contained habitats, or until we reduce the time it takes to send supplies to Mars, I think even Mars orbit is likely to be for hardy explorers rather than long term colonists. This is a 1989 design but similar approach could be used nowadays for early expeditions, just join two habitats together with a tether for artificial gravity. Mars however is far away from Earth, and so because of problems of resupply and emergency return, probably best for explorers rather than colonists at present, with use of multiple redundancy to reduce the high risks of a space colony so far from Earth. For small expeditions of highly trained adventurers, this may be not so much of an issue. Either they take a big risk (possible with private ventures though not politically acceptable for NASA astronauts), or perhaps you can deal with the issues of resupply from Earth by multiple redundancy. For a reasonably "safe" mission to Mars, it might make best sense to send all your supplies at least in triplicate and have three copies of every spaceship. So, before any explorers, or permanent colonists for Mars orbit leave Earth, you make sure there are at least three habitats in orbit around it, each of them large enough for your entire colony to use in an emergency, and of course all stored with enough supplies to last for several years. You would also have three functional space ships there (which could be the habitats themselves), each able to return the entire colony to Earth in an emergency "as fast as possible" - that is, within two and a half years of the emergency in case of Mars as return flights are only possible every two years at present and take about half a year. Most of the cost is in development, so it is only adding a certain percentage to do three of everything for the first mission there. That is, except for launch costs of course but I expect those to go down massively in the near future. Mars capture orbit is easier to get to than the surface of the Moon in terms of delta v, which helps with the launch costs. For effective exploration of Mars, colonists don't have to be in a low Mars orbit, indeed one of the best choices is a slowly precessing near sun synchronous Molniya orbit - which is similar to a Mars capture orbit, easy to get to, and brings the habitats close to the Mars surface every twelve hours on the day side, so you get to explore the entire planet via close up telepresence from orbit. Something like that seems the "safe" way to do it - at least until the time to resupply Mars orbit, or to return in an emergency, is reduced to less than two years. These extra habitats in orbit around Mars will also help you to build a large orbital colony around Mars rapidly (also using resources from the Martian moons) as experience and confidence grows. 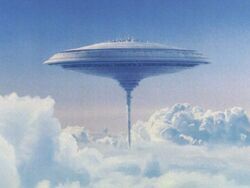 There is also Landis's intriguing possibility of floating cloud cities in the dense Venusian atmosphere, floating at the level where the atmospheric pressure exactly matches that of Earth. I'm not sure quite how seriously to take this yet as it doesn't seem to have had any detailed feasibility studies in recent times. The scientific literature on it is tiny, just one recent paper and an old 1971 article in Russian as far as I know. But is an interesting proposal,, which highlights how difficult the surface of Mars is to colonize when you compare Venus and Mars. The idea is, that in some ways it would be easier to colonize Venus than Mars. This might sound crazy at first, with its atmosphere so dense, surface so hot - but it turns out that there is a reasonably pleasant layer on Venus in the upper atmosphere. There is no oxygen, and it has sulfuric acid so you have to protect the outside of your habitat from that -, but the pressure is just right which is a major bonus for engineering a habitat. What's more because the atmosphere is made of the heavy gas CO2, then lightweight structures filled with normal breathable Earth atmosphere at normal pressures, with its mix of nitrogen and oxygen, would float in the Venusian atmosphere in the same way that helium or hydrogen balloons float on Earth. You could use hydrogen as a lifting gas, of course, and would be a much stronger lifting gas than on Earth, but it is not necessary. The habitat would be in equilibrium with the atmosphere outside of it, at the same pressure. Just fill with an Earth normal mix of oxygen and nitrogen and it would naturally float at about the right level to maintain an Earth normal atmospheric pressure inside (just as a weather balloon full of helium naturally floats at a high level in our atmosphere). If the city is heavy you could add extra helium or hydrogen chambers for extra lifting power., which would have much more lifting power on Venus than here. Also unlike Mars, the Venusian atmosphere does have nitrogen in it, 3.5%. It also has water at 20 ppm. But better, it has sulfuric acid droplets in the clouds, and you can make water from H2SO4. The atmosphere is also thick enough to give adequate cosmic radiation shielding even at cloud top levels, the level of shielding is similar to that for Earth. It would also protect from the smaller meteorites, up to the megaton level, as for Earth. And it has 90% of Earth normal gravity as well, no need for spinning habitats to give a sensation of Earth normal gravity (if that is needed). As Landis said, in his Colonization of Venus. "However, viewed in a different way, the problem with Venus is merely that the ground level is too far below the one atmosphere level. At cloud-top level, Venus is the paradise planet." "If you define sea level as the level at which the atmospheric density is the same as the Earth sea level density, the problem with Venus is not that it is too hot on the surface, the problem is that the surface is too far below sea level. " Temperatures at the cloud top levels are in the habitable range of 0 to 50 C. The habitats would float naturally at the right level so long as you keep the levels of oxygen and nitrogen inside the habitat at Earth normal levels - just as a hydrogen balloon naturally floats at a high level in the Earth's atmosphere. Then at the cloud top levels, the air moves around the planet with a period of about 4 days, a phenomenon known as super-rotation, giving a much shorter day length than the planetary surface. This "Floating habitats in the Venus Atmosphere " idea is one of those ideas that seems completely crazy to start with, but the more you think about it, the more sense it makes. As for resource utilization, Landis describes various methods for getting materials from the surface. But perhaps you don't need so much of that. Another idea which he doesn't mention in the paper is that trees and other plants would grow well in the CO2 air and abundant sunlight, and take in the gases and convert them to organics. It would probably start small. something like a Bigelow type inflatable habitat to start with, but doesn't need to be as robust as the ones for space, don't need to hold in ten tons per square meter of atmospheric pressure. That would get you started with a tiny settlement. Once it gets started you can do ISRU from Venus itself. Nitrogen and oxygen from the air. Water from the sulfuric acid in the clouds. Inside you can grow trees and plants and make plastic. The plants would grow well in the CO2 air and abundant sunlight, and take in the gases and convert them to organics. You might be surprised at how much of the mass of a tree comes from the atmosphere (including water vapour which in case of Venus would be extracted from the sulfuric acid in the atmosphere), and how much from the ground. Try to guess before you watch this video by Richard Feynmann - the famous nobel laureate physicist. See this article also, Trees Come 'From Out Of The Air,' Said Nobel Laureate Richard Feynman. Really? So in that way you could build new habitats in the Venusian atmosphere largely out of timber and plant based plastics. It could be quite "low tech". You can also get more specialist things from the surface too - a challenge but Landis thinks it can be done. It might not need that much by way of imports from the rest of the solar system. No need to compress the air (as you need to on Mars to get anything into your habitats out of the near vacuum hundredth of Earth atmospheric pressure). No need for landing strip or launch platform. Planes and rockets float in the air anyway on arrival. On launch, may need to suspend it from a hydrogen balloon for lifting to offset the weight of the fuel before you start the motor, but again - does seem simpler than launch from solid surface, just as for air launches of spaceships from Earth. Rockets and spaceplanes and spent rocket stages would all float in the Venus atmosphere so long as you keep them fairly air tight and make sure there is some spent fuel or atmosphere inside to supply the pressure against the Venus atmosphere. Can use reasonably normal straightforward engineering construction methods for the habs just as for Earth. Don't need to build to contain many tons of outwards pressure per square meter - which we only have experience of doing for the ISS, and other space stations. Abundant solar energy because closer to the sun. Of course lots of things to address, as for Mars. You don't have the problems of the cold or thin atmosphere, and there is no risk of your habitat depressurizing. But you do have plenty of other problems. As with Mars, the easiest thing to do is a one way trip to Venus, for permanent settlers. I got the title for this section from this fun discussion of the topic at the Planetary Society. Why Venus One might be better than Mars One. For Geoffrey Landis's technical paper on his idea, see Colonization of Venus. See also the Wikipedia entry on colonization of Venus: Aerostat habitats and floating cities. Also two videos by Geoffery Landis on the subject to the Mars society: part 1 and part 2. Of course, as a new idea, nowhere near as much work and thought has gone into Venus colonization as has gone into Mars colonization, and there is much to be worked out. If this intrigues you, try the enthusiastic Venus Society page at Linkedn. started by Dave Kidd. Also Jon Goff has many recent posts on the Selenian Boondocks blog with interesting ideas such as his Venusian Rocky Floaties - that spent rocket stages would float in the Venus atmosphere, would not hit the surface, so long as you seal them and vent a bit of the remaining fuel to keep them buoyant, making it easy to capture them and re-use them to return to Earth. I would certainly not say at this stage that its been shown it can be done. It needs feasibility studies and proper peer reviewed papers and all that sort of thing. It has nothing like the number of studies and papers there are for Mars colonization. For now, it is simply an intriguing idea that might easily turn out to have flaws in it and not work. There is also evidence of OCS (Carbonyl Sulfide) which on Earth would be an unambiguous indicator of life. See Could life exist in the Venus Atmosphere. If there is life in the Venus atmosphere, then we certainly want to study it first before we risk contaminating it with Earth life. It might be indigenous and give us clues to the early Venus, and whether life evolved there independently from Earth or was in some way related. It is likely to be extremely interesting if there is life there. It is hard to see how life on Venus could be seeded by meteorites from Earth in its present form, because the surface is so hot and dry. That is - unless they break up as dust in the upper atmosphere perhaps?. If there is any life in the clouds it seems likely that it's been there for billions of years and may have evolved into a complex ecosystem of micro-organisms - if so that may be fascinating for biology, and understanding evolution, origins of life, stages of life prior to modern life etc. As for Mars shouldn't send humans anywhere near a system like that until we know well what is there and what the impact on it would be. But if there is no life, or after studying it, then the issues are far less than for Mars. The surface probably can't be contaminated with Earth life at all, is too hot, and too dry. There is no worry about losing the atmosphere as a result of introducing life, and is hard to think of anything life could do to Venus that would make much difference, and if it did, would probably improve it as a place for humans to live in. The only concern is about life spreading to the cloud tops layer of Venus, would need to think a bit about what effect that would have but seems unlikely on the face of it to be likely to cause any issues apart of course for the matter of possibly competing with indigenous life if present. As for terraforming, then Venus is likely to be hard to terraform, for the opposite reason to Mars, because it is extremely hard to get rid of the atmosphere. It has so much CO2 that even if you could somehow project all of it into space, it remains within the gravitational influence of Venus, and the planet would just gather it all up again and be back again where you started. It could be possible but might involve e.g. ejecting the Venusian atmosphere as dry ice pellets at high velocity - you can even imagine in the future a mega-engineering project which first cools down the atmosphere of Venus using giant reflective sunshades, until it freezes out. Then you fire the atmosphere of Venus to Mars, using a railgun or similar, as a stream of dry ice pellets enclosed in reflective wrappers to protect them from the suns heat, thus making both planets habitable in a single project. But that is a far future idea, and verging on science fiction, at least at present. You might ask, why are hardly any of these issues with terraforming Mars mentioned in the science fiction stories? Why is it so much easier in the stories, such as the Mars Trilogy? Science Fiction authors stimulate the imagination, undoubtedly, and may even foreshadow technological developments before they happen. Their work is a mix of things astonishingly far sighted like the early stories about television long before it was invented, and things that are a product of their time such as Asimov's early stories about Multivac, a supercomputer made of vacuum tubes, with only one computer in the world. There are "hard science fiction" early stories with explorers using slide rules in spaceships that travel faster than light. (Full text of the book, "Islands in Space" by John Campbell). Many of the early movies and TV programs have futuristic spaceships with the pilots staring at green monochrome displays on bulky cathode ray type monitors. Many stories by hard sci. fi. writers such as Arthur C. Clarke in one of his best early short stories, "predicted" a lunar surface covered with fine dust so deep that rovers could sink into it without trace, and of course all the early stories had oceans on Venus and Mercury with one face permanently facing the sun. There are many such examples. With all the different stories that get published, some may get it right. For instance none of the "big name" sci. fi. authors wrote about a televised landing on the Moon before it happened - they thought that the signals would be blocked by the Heaviside layer. But one minor science fiction author did "predict" this in his short story in 1947. Amazing Science Fiction Stories, Volume 21 Number 4, April of 1947. This little known story "All Aboard for the Moon" by Harold Sherman is notable because it describes astronauts who (crash) landed on the Moon while in direct communication with Earth and the Earth news media via television. Later stories even by the "giants of science fiction" didn't predict a televised Moon landing, because the authors were under the impression the signals would be blocked by the Heaviside layer. Similarly, our science fiction stories about Mars may leave out fundamental ideas that are significant, and which we don't know about, or which at least, the science fiction writers don't know about. In the case of the Moon, there was a secret 1950s military experiment, involving bouncing radio signals off the Moon for communication, but presumably this was not widely known by the science fiction authors. In the case of Mars there are many detailed issues about the terraforming of the planet that are known by a few academics, in published papers, but are not addressed in popular stories or articles on the topic. And as for the early sci fi, doubtless there are other issues and future developments that no-one at present either knows about or can predict. So science fiction may be inspiring, and often far-seeing, and sometimes gets things right but they are a product of their times. Even the best "hard sci fi" should never be mistake for accurate prediction of the future. So, what about a "Second home" for humanity, where does this leave that idea? For creating new habitats - well you have all the materials for life in the asteroids. You can create habitats with enough cosmic radiation shielding for land area a thousand times that of the Earth in space habitats, using materials from the asteroid belt - a calculation that goes back to the time of the studies by O'Niel in the 1970s. Certainly if you have the technology to successfully terraform a planet, you must have the technology to make hundreds of thousands of Stanford toruses or similar in space, all self contained and able to sustain life independently of Earth. If you can't do that, surely you are nowhere near being able to terraform a planet successfully. Such projects are likely to be easier to do as time progresses. Once we have many habitats like this then we may begin to have enough experience to know whether we could terraform Mars, and how to do it. But by then, with habitats potentially with land area of a thousand times that of Earth we may see no need for Mars for colonization and may instead prefer to leave it pristine or turn the clock back to early Mars, or Marsform it to make it habitable for any indigenous Mars life. And if we can't build these kinds of habitats successfully, surely we are nowhere near the level of understanding needed to successfully terraform a planet. This is especially true for a planet as different from Earth as Mars. However, I think any planet is surely harder to make habitable for life, if not already inhabited, than a small self contained settlement of a few square kilometers, where in the worst case, if you make a serious mistake, you can start again . Before we attempt to terraform Mars, let's start with smaller habitats, and learn from our mistakes. 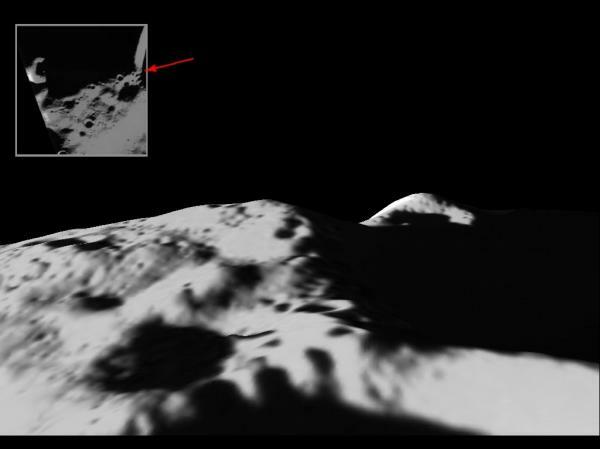 Before we attempt to paraterraform Mars, let's try something less ambitious, closer to home, such as setting up habitats on the peaks of eternal light on the Moon, and eventually, paraterraform the Moon using solar power for night time energy. This may be the best place on the Moon for your very first colony, before you sort out the power issues and so on, is this place. This is one of the "Peaks of Eternal sunlight". For more about this, see If Mars Is For Hardy Explorers Only, Where Is The Best Place In The Solar System For First Time Colonists? Before we send any humans to the Mars surface, let's send explorers to Mars orbit first, far cheaper -, and explore the surface via telerobotics. Humans on the surface don't even have any advantages over robots controlled from orbit, indeed a human in spacesuit with gloves would be far more clumsy than a telerobot, and the surface of Mars is in many ways more inhospitable than an orbital settlement. 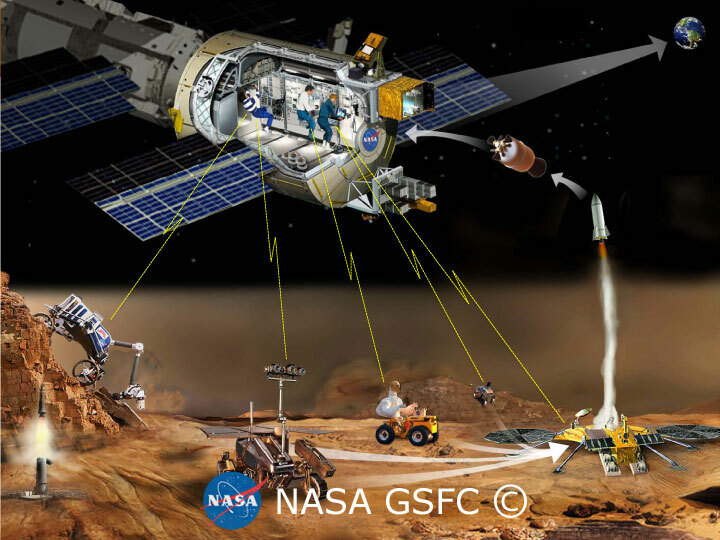 With humans in orbit around Mars, able to drive rovers in real time via telepresence (e.g. drive Curiosity to the base of Mount Sharp in a day rather than a year), and conduct experiments on the surface in real time, we could find as much about the planet in a few years as would take thousands of years of rovers operated from Earth. In this way we find a lot about Mars at low cost. It is an affordable program - those who plan to explore the surface of Mars could probably do the same expeditions in orbit for a fraction of the cost, and with far more science return. It would probably cost at least an order of magnitude less to explore Mars in this way. This is also the only way humans can explore Mars from close up, and still keep Mars free of contamination. It leaves all our options open for future terraforming, marsforming, paraterraforming, or maintaining a pristine Mars. We can decide what to do next after that. after however long it takes to get a reasonably thorough understanding of Mars. I am not saying that it is impossible to terraform Mars. It is surely a huge challenge though. If we attempted it right now, surely our terraformed planet would soon lose its atmosphere again, at least on geological timescales. In time we may perhaps learn to engineer the cycles needed to keep Mars habitable long term. We may find a way to return the CO2 to the atmosphere, compensating for the lack of continental drift and find a Martian alternative to the Earth system of active volcanoes to maintain the atmospheric pressure. For a start on this, see Dan Popoviciu's "Some Ideas Regarding the Biological Colonization of The Planet Mars", where he describes ideas for biological return of carbon dioxide to the atmosphere. We may find a way to set up cycles that work fine on a planet with a highly elliptical orbit and major differences in temperature between the two hemisphere of the planet. We may find a way to set up cycles that keep Mars habitable during times of extreme axial tilt, when it tilts so far that it develops equatorial ice belts instead of polar ice sheets, and when its axis is near vertical, which normally leads to ice caps far more extensive than today. Changes of tilt of Mars axis and effect on climate (NASA) - current Mars is top left - a permanent terraforming would need to keep Mars habitable through these changes. Especially it would need to provide a mechanism for Mars to avoid, or escape from "Snowball Mars" - even present day Mars would be completely ice covered if the atmosphere wasn't so thin and dry that water ice sublimes to water vapour at below 0C over most of the planet. We may find a way to make sure that it does not lose its atmosphere or water to space long term without a magnetic field. We may also find a way to deal with biological issues, introduce life in a careful sequence, and make sure that no major biological issues or diseases develop in the planet. We may be able to ensure that the atmosphere does not fall into some state hostile to humans such as a methane or hydrogen sulfide rich atmosphere. This doesn't seem totally impossible. Future science and our experiences of attempts to build larger and larger space settlements, combined with our studies of exoplanets (planets around other stars), and perhaps the development of ever faster supercomputers for planetary simulations, may over the decades or centuries give us all the knowledge we need. But I think, we certainly have nowhere near the wisdom, knowledge, and experience needed to make irreversible decisions about Mars quite yet. Until then, as Chris McKay has said often (youtube video), everything we do on Mars should be reversible, at least on the planetary scale. We should not alter the planet irreversibly, even accidentally, until we know what we are doing. And as far as I can see, the only way to do that is to keep humans and Earth life away from the planet surface, at least until we know more about what is there. Here I am of course expressing my own opinions on the subject. But there are plenty by way of optimistic news articles and projections suggesting that we don't need any foresight to terraform Mars, just land humans and start growing plants and it will happen almost by itself in a natural way, so is not hard to find the material on this. I have yet to see a single news story suggesting that it might not be as simple as that, though there are scholarly articles on the subject. I hope this article helps give potential Mars colonists some pause for thought. Is this indeed true? Might it be wise to study Mars for a few decades from orbit around the planet first before making such a decision. This article mainly raises questions and suggests possible things that could go wrong on Mars. What do you think?